Our speaker, David Fross, is founder and President of Native Sons Wholesale Nursery, specializing in plants from Mediterranean regions of the world that flourish in a climate defined by moderate winter rainfall and warm dry summers. The perception of native plants has seen remarkable change, and what was once a niche market in the nursery industry is now mainstream. Native plants are commonly encountered in urban and suburban landscapes as hundreds of new cultivars have been added to a rich and growing palette of available plants. Reflecting on forty years with California native plants as a grower, teacher, and gardener, David will discuss the changes that have occurred during this period. He will present some of the gardens and landscapes that demonstrate these changes and identify some of the challenges that remain. 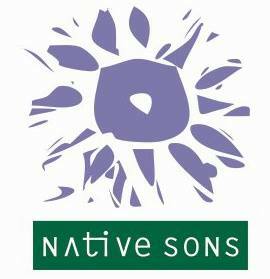 As founder and President of Native Sons Wholesale Nursery since 1979, David has seen his business grow in size and scope to include plants from other Mediterranean regions of the world - Mediterranean Europe, Southwestern Australia, South Africa and Chile - as well as California natives. Through his travels, he has added appealing new species and cultivars to the collection, and he continues to pursue and develop new selections with the intention of adding a sense of discovery and exploration to California gardens. He taught horticulture at Cal Poly San Luis Obispo for twenty-five years and is the co-author of Ceanothus, Reimagining the California Lawn, and California Native Plants for the Garden. The California Native Plant Society will have a table at the meeting. Stop by to learn more about the local CNPS chapter. Shop our vendors, renew your membership, check out the plant forum table or mingle.